Pinterest is social media network that allows users to share images associated with project, goods, and services, and to visually discover new interests by browsing images others have posted. You can think of Pinterest like a web-based pinboard or bulletin board — but with greater organizational functionality. You can also think of it as a bookmarking tool. For example, Pinterest is a very popular tool for recipes. People can browse through images of delicious looking food, click on an image that looks good and be taken straight to the recipe instructions when they click on it. They can also save it to their own recipe board so they can access it later. Pinterest is also a social network. Users interact with each other through liking, commenting, re-saving each other’s stuff and private messaging each other. If you're ready to get started with Pinterest, follow the slides below to learn how to use it yourself. Pinterest is totally free to use, but just like any other social network, you need an account to start using it. You can create a free account at Pinterest.com with an email and password or simply choose to create one from your existing Facebook or Google account. 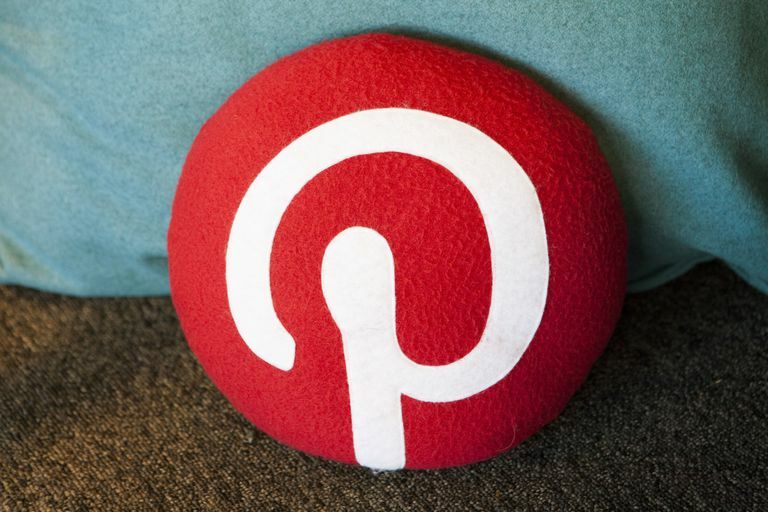 You'll be asked to fill out a few details such as your name, age, gender, language and country before you'll be instructed to pick at least five categories to follow so that Pinterest can start showing you personalized pins based on your interests. In the top right corner, you should see a menu with several different options. Home: This is where you'll find all the most recent pins saved by the users you currently follow as well as new suggestions based off the things you've already saved. Following: If you just want to see what the users you follow are pinning, go to this tab. Messages: This is marked by the little speech bubble icon. Send and receive private messages with users you follow and follow you back. Notifications: This is marked by the bell icon. Interactions and suggestions will pop up here. Settings: This is marked by the three dots. Select it to change your settings or upgrade your account. Boards: Displays all the pinboards you created. Pins: Displays all the things you recently pinned. Tries: All the pins you tried for yourself and left feedback on. Topics: These are suggested topics you can follow based on your interests. Here comes the fun part. Now that you’ve spent some time setting up your account and you have a brief understanding of how Pinterest really works, you can start saving pins to your boards. There are two ways to do this. To save a pin that you found while browsing Pinterest, just hover your cursor over the pin and click the red Save button that appears in the top right corner. You'll be asked which board you want to save it to. Navigate to your profile click either your Pins tab or Boards tab and look for the Create Pin button or Create Board button to the far left of your pins/boards. Create Pin: If the image is on your computer, so you can upload it to the web. However, if what you want to pin is on the web, copy and paste the direct URL in the given field and you'll be able to select specific image you want to pin. Create Board: Use this to create different boards and to keep your pins organized. Name your board and make it Secret (private) if you like. Pro Tip: If you like to randomly save things to Pinterest while browsing the web, you'll definitely want to install Pinterest's browser button to make saving as easy as doing in a couple of clicks. If you come to find that you really like the boards and pins of specific users, you can follow them so that their stuff will show up on your personal homepage board feed (when you’re signed in to Pinterest). Simply click the username of any Pinterest user to pull up their profile and click Follow at the top of their profile to follow that user’s boards or you can alternatively follow specific boards of that user by clicking the individual Follow button beneath each board. Save: Use this to save the pin to one of your own boards. Send: Send a pin to other users on Pinterest or share it on social media. Add a photo or note: If you tried the pin (such as a recipe, a craft, etc.) then you can upload your own photo and add a comment about what you did or didn't like. Pinterest is loads of fun to use on the regular desktop web, but you'll be blown away by the power of the mobile apps for iOS and Android. Discovering new pins, saving them and finding them again later when you need them couldn't be easier or more handy with the app! What Else Can You Do with Bitly Besides Shorten Links?